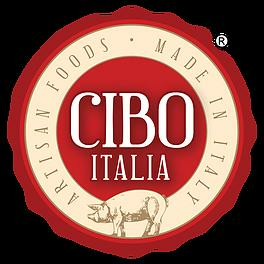 Cibo Italia will exhibit at the next Summer Fancy Food show at Booth #1558! The real Made in Italy from Cibo Italia is waiting for you! Consorzio Vasari choose IBS North America to approach the U.S. market! New York City, April 2017 – From Monday, May 15th to Wednesday, May 17th, 2017, the very best of Florentine craftsmanship, food and wine comes to downtown New York City for three days of exhibitions, events and meetings. “Florence in New York” features prestigious Florentine and Tuscan brands interested in opening up to foreign markets, showcasing their unique products and services for the first time in the US. 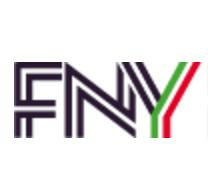 The three­day trade show will take place on the entire 29th floor of the 180 Maiden Lane skyscraper in the Financial District, and will feature a large range of unique products from Italian small and medium companies directly from Tuscany, Italy. NYC skyline view meets Florence ambiance. Amidst stunning New York City skyline views, the space is divided into several exhibitions areas and social spaces. Surrounded by delicious Italian food and wine that features what’s special from Tuscany, beautiful handcrafted products and a unique setting deliver a Tuscan mood. For a moment, it’s like you’re in Tuscany, appreciating the excellence of our artisans. This event is made possible by Consorzio Vasari, created to support small and medium Tuscan enterprises, with the patronage of the Italian Trade Agency, the Tuscany Region, the City of Florence, CNA Firenze, Confartigianato Firenze, Confindustria Firenze and ibridge. IBS North America is supporting Consorzio Vasari since the first approach to the american market with a long-term expansion objective. Each of these governmental and business entities build networks that drive real business. Vania Terzo, President of the Consorzio Vasari, explains, “We are proud to support small and medium‐sized companies of Florentine excellence, whose products and services are in great demand globally for their taste and style.” The Florence in New York Trade Show is the first of a series of initiatives that Consorzio Vasari has planned in the United States to establish long‐term business relationships. Their mission is to act as a bridge between Florentine expert craftsmen and US operators, establishing itself as guarantor of “Made in Tuscany” quality and excellence. Florence in NY for Food Bank For New York City Consorzio Vasari supports Food Bank For New York City and their mission to end hunger by organizing food, information and support for community survival and dignity.